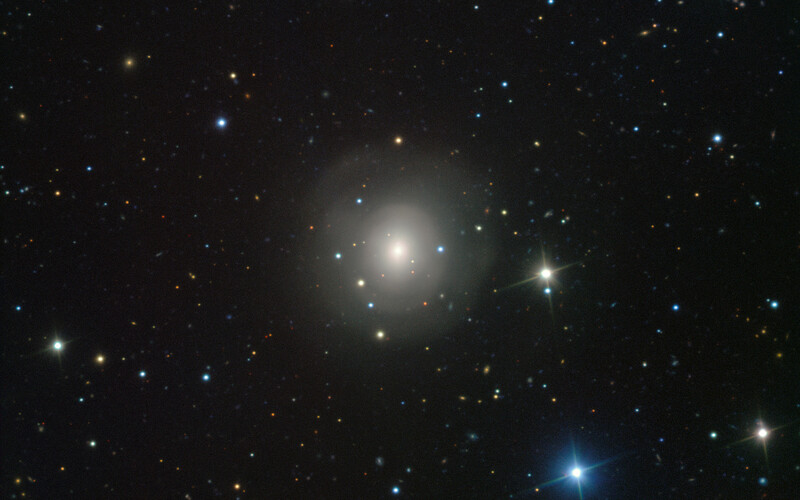 This image from the VIMOS instrument on ESO’s Very Large Telescope at the Paranal Observatory in Chile shows the galaxy NGC 4993, about 130 million light-years from Earth. 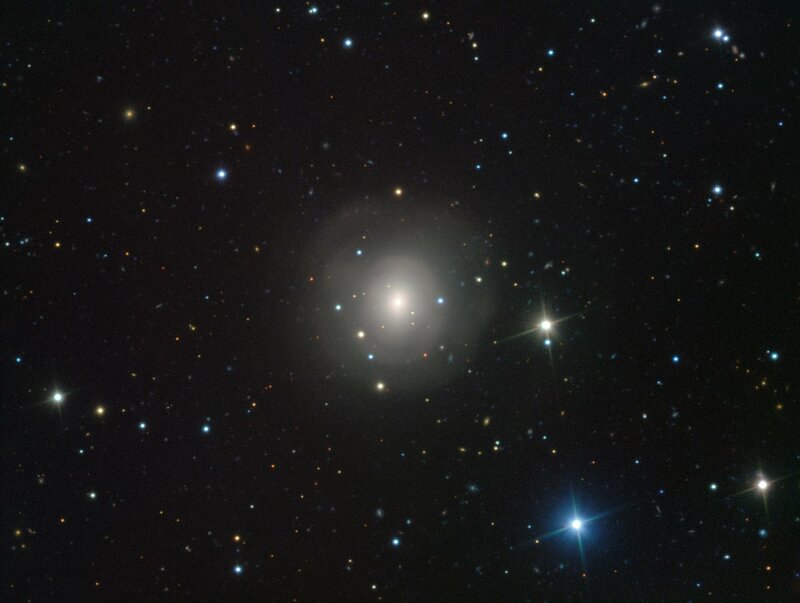 The galaxy is not itself unusual, but it contains something never before witnessed, the aftermath of the explosion of a pair of merging neutron stars, a rare event called a kilonova (seen just above and slightly to the left of the centre of the galaxy). This merger also produced gravitational waves and gamma rays, both of which were detected by LIGO-Virgo and Fermi/INTEGRAL respectively. Position (Dec): -23° 23' 2.08"